Keeping up to date with the news media can be depressing with tales of war, death and disaster but combining some serious straight news from a newspaper or 24/7 news channel with several comedy news/trivia podcasts and satirical news TV shows can balance that by informing and entertaining you. I subscribe to the following News and Trivia Podcasts from the BBC (United Kingdom), NPR (USA National Public Radio) and the ABC (Australian Broadcasting Corporation) and listen to them every week as well as watching The Daily Show and Colbert Report satirical news shows on ABC2 free to air digital TV. The job of satirical comedians is to use irony, sarcasm, ridicule etc to expose and denounce the actions of individuals and organisations by revealing their hypocrisy and stupidity while also informing and entertaining their audience. 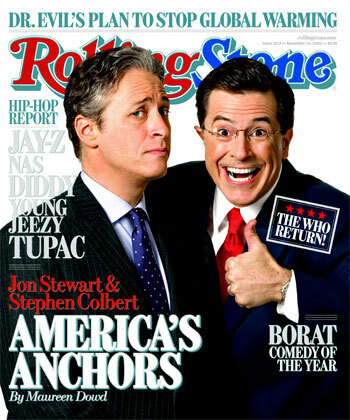 Stephen helped The Daily Show with Jon Stewart to win numerous Emmy and Peabody Awards. Eventually he became popular enough for Comedy Central to give him his own spin off show “The Colbert Report”, a mock (and very satirical) public affairs show where he plays the role of a egomaniacal, xenophobic anti-intellectual who claims to be politically independent, like his idol Bill “Papa Bear” O’Reilly. In reality, he fawns over the Republican party and former president George Bush. Where to Watch in Australia: 710pm-8pm back to back on ABC2 free to air digital TV, ABC iView internet streaming video or Comedy Channel (check Pay TV guides). Wait Wait… Don’t Tell Me! 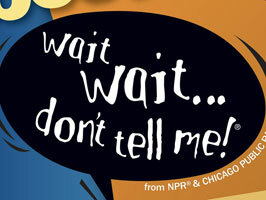 is NPR’s weekly hour-long quiz program run by Chicago Public Radio. Each week listeners call and test their knowledge against some of the best and brightest in the news and entertainment world while figuring out what’s real news and what’s been made up by the panel of NPR Wait Wait comedians and writers. BBC Radio 4 brings you a satirical take on the week’s news with the cream of UK comedy talent. I became a fan shortly before the 2010 UK general election and find their razor sharp humour and very strong writing team make the half hour podcast fly by so fast I wish that it was twice as long. 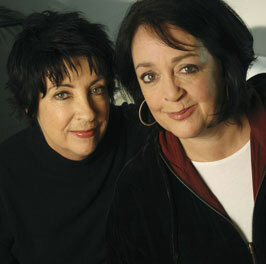 Radio industry veterans Angela Catterns and Wendy Harmer take a light hearted look at the last 7 days news on ABC News Radio. Both have big fanbases from their days as high rating hosts of ABC Sydney Local Radio and 2Day FM respectively and know how to amuse their audience. Friday Night Comedy is really amazing! I always listen to that kind of comedy because it makes my week complete… I will be back to bookmark this site. 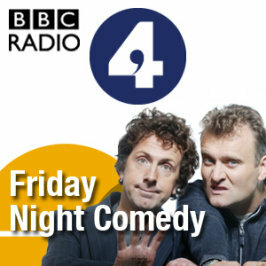 Is that Hugh and Milton Jones on the BBC Radio4 podcast?